Me having fun at a recent cupcake-making party I hosted. Last month, my best friend from home got me a cupcake-making book for my birthday, along with some matching cupcake napkins. I had seen the book, “Hello Cupcake!” several times before but had never bought it. 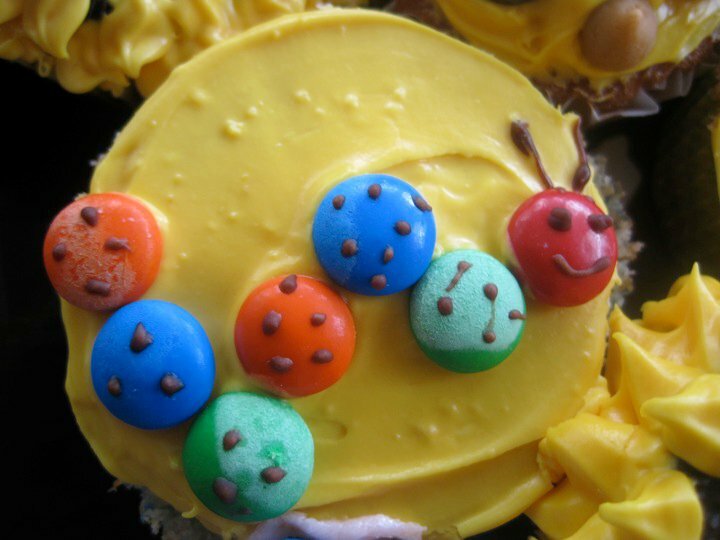 I wondered if I’d ever have an occasion to make such elaborate cupcakes and figured I’d just get some recipes online. But having the actual book and sharing it with others is so much better. I posted a Facebook update about the book, saying I was tempted to have a cupcake-making party. Mention “cupcake” on Facebook and you’ll get lots of responses. Mention it in real life and you’ll see a lot of wide-eyed eyes and ooing and ahhing. 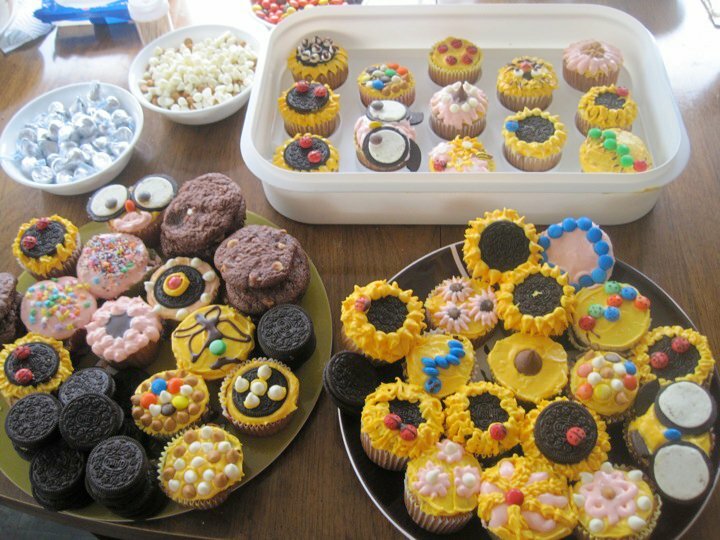 Based on the positive responses I got, I decided to host a cupcake-making party in place of the usual get-togethers that I have every month with the craft club I’m in. An adorable owl, made with Oreo cookies. I baked the cupcakes the night before so that when friends from the craft club came, they could just focus on decorating them. 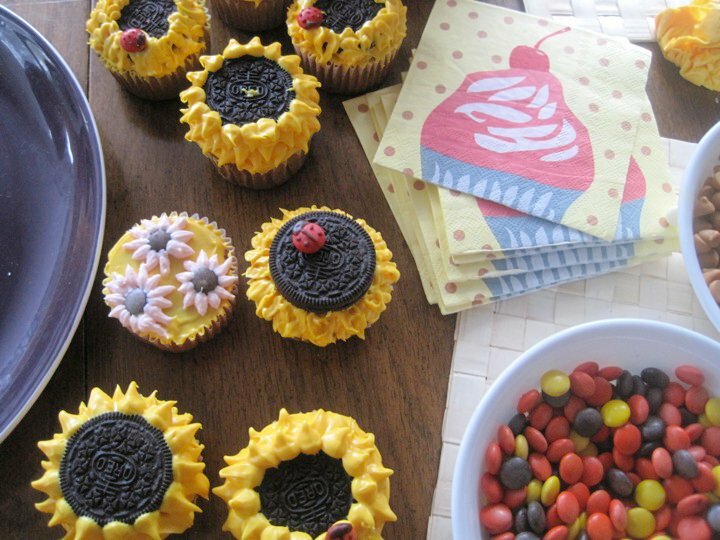 We made the sunflower cupcakes with yellow frosting, Oreos and a red M&M with chocolate frosting for the ladybug on top. 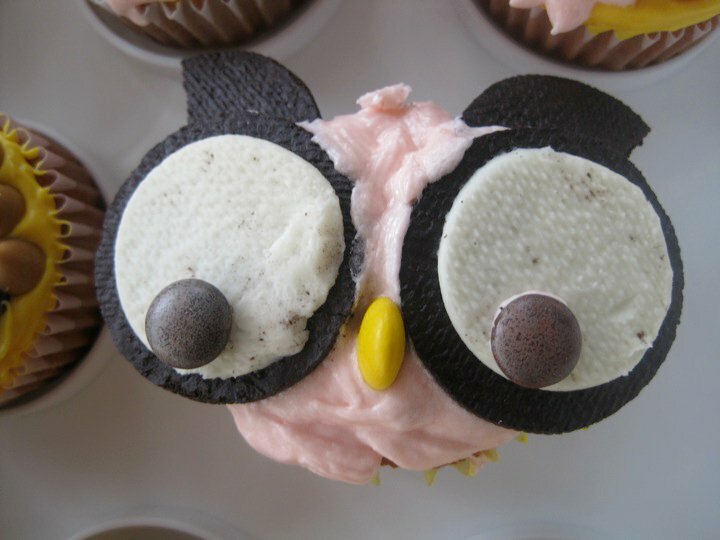 We also made owl cupcakes, lion cupcakes and caterpillar cupcakes. Naturally, they were all delicious. Cuteness. We made butterfly cupcakes, too.